ProCo Hood Cleaning is here to provide you with the best kitchen hood cleaning service in Denver, Colorado. The Colorado board of health, your insurance company, and local fire marshals will likely require that your kitchen hood system is cleaned regularly. As a general rule, “regularly” can be defined as every 90 days. However, every commercial kitchen is different, so we encourage you to check with your insurance company or the board of health for an accurate recommendation. SO YOU’RE WONDERING WHO WE ARE AND WHY YOU SHOULD CHOOSE US. That’s understandable. 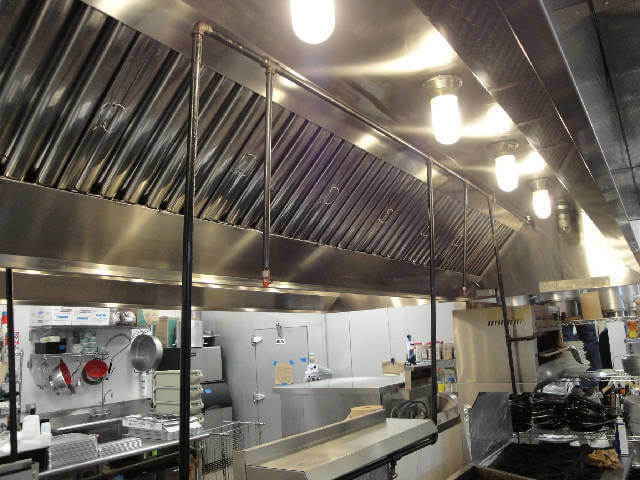 Making sure your kitchen hood system is properly cleaned and maintained is a huge part of running your business. You should be picky about who you choose to take care of your stuff. When you’re working with ProCo Hood Cleaning, know that will be working with the best kitchen hood cleaning service in Denver, Colorado. Our team spent many months and years preparing to be the best in the kitchen hood system business. Our technicians trained, tested, and busted our butts to become certified hood cleaning technicians. We are not only kitchen hood cleaners, but we are maintenance technicians as well. We can perform a kitchen hood system inspection and evaluate all the ins and outs of your kitchen hood system. From the cook top to the roof top, we can clean and maintain it all. We will OUTSHINE other Denver hood cleaners by far. YOU COULD DO THIS YOURSELF, BUT THIS IS A JOB FOR A KITCHEN HOOD CLEANING SERVICE. DIY is all the rage these days, but let me just tell you, kitchen hood system cleaning doesn’t fall into that category. Sure, you can do it yourself, but it will take a lifetime to do a mediocre job. You will need appropriate equipment such as steam cleaners and pressure washers, and FDA-approved chemicals . You’ll also need the tools (and knowledge) to be able to take apart the entire hood system and put it back together. It’s a lot easier said than done, trust me. This is a job to assign to a professional hood cleaning service. We won’t let you down. Let’s put it this way, you shouldn’t do this yourself. Cleaning your kitchen hood system is a job for the professionals. Your local board of health will probably tell you the same. ProCo Hood Cleaning has the latest technology available and innovative cleaning solutions that will leave your kitchen hood sparkling like new. 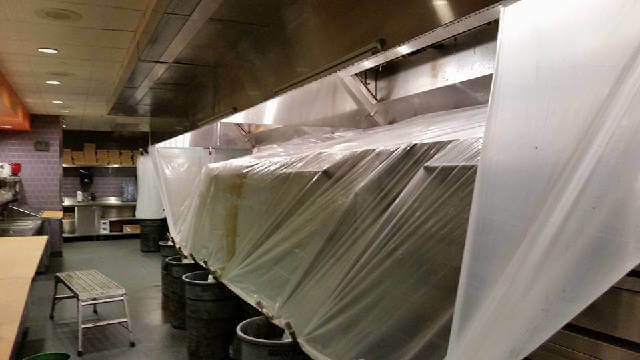 We will take apart your kitchen hood system, inspect those undiscovered and hard-to-reach areas of the system, and clean them until they are spotless. We are educated on the local kitchen hood system cleaning code, and can ensure that your hood system is cleaned and maintained up to code. While performing our initial inspection of the hood system, we will determine any risk factors or fire hazards. We will inform you of them, and offer a solution. If you have missing or old parts that need replaced, we can order you parts or provide them if we have them on stock. There’s nothing like getting dinged on your health inspections for the minor stuff. WE WILL ALWAYS TREAT YOU, YOUR EMPLOYEES, PROPERTY AND CLIENTELE PROFESSIONALLY. Sure, we like a joke every now and then, but you never have to worry about us showing up on site acting like morons. We will always be respectful of you and your business. Your business and satisfaction is important to us. Our goal is to build a strong relationship with you so that you can always count on us. We want to be sure you are comfortable calling us any time you think you have a kitchen hood system malfunction or problem. In Las Vegas, check out Las Vegas Restaurant Cleaning Service.